South Wales Police seized 100 stolen tickets for the FA Cup Final ahead of the match at Cardiff's Millennium Stadium. They were from a batch of at least a 1,000 stolen from a Royal Mail van in Liverpool. Three people were also arrested after 15 forged tickets were also found ahead of Saturday's match. Match commander Chief Supt Bob Evans said the detection prevented overcrowding and potential injury. He said: "The issue was made more complicated by a number of forged tickets also found in the possession of Liverpool supporters. "But all in all, we took a number of tickets out of circulation that were either stolen or forged. As a result of that, we probably avoided some serious overcrowding and potential injuries." 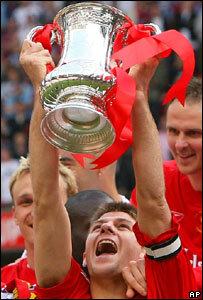 Liverpool won the final on penalties after a 3-3 draw with West Ham at the end of extra time. South Wales Police reported a "successful" day, with a total of 17 arrests but no major incidents or disturbances. A male fan located in the West Ham section of the ground died during the event. There are no suspicious circumstances surrounding his death and no more details about him are currently available. But speaking overall, Chief Supt Evans, said: "There was a great atmosphere in Cardiff today and the event, as always, went smoothly." He said he understood the "frustration" in the run up to today's final as a result of the ticket theft. But he added: "I am delighted however, that fans didn't let the issue spoil what turned out to be a very exciting and entertaining football match and a great day out." The tickets were stolen from the Royal Mail van on 5 May. Millennium Stadium managers refused to issue duplicate tickets because of safety concerns if too many supporters turned up with tickets. Most fans who had been expecting tickets were eventually given them by Liverpool, who took them from an allocation set aside from a ballot of card-holding supporters. Merseyside Police arrested a man in connection with the theft on Thursday. The 17 arrests made in Cardiff on Saturday related to public order offences, drunk and disorderly offences, theft, assault, criminal damage, a bail warrant, possession of cocaine, ticket touting and forgery.